Drowning under a deluge of student loan debt? Considering that student loan debt is on the rise and the average American student now owes more than $35,000, that is no surprise. It can be bad enough for undergraduates; if you are a graduate student or a dropout, it can be even worse. If you are a dropout, you are not alone—about 41% of those who begin a four-year degree fail to complete it within six years. Whatever your situation, you may feel like you are at a loss. Looking for some tools to help? Here are some free resources you can turn to. Not sure exactly what you owe? That is a common situation, which is why the government provides the National Student Loan Data System or NSLDS. You can look yourself up in the NSLDS and find out exactly how much you owe in turns of student loan debt. You can even view each loan by type. 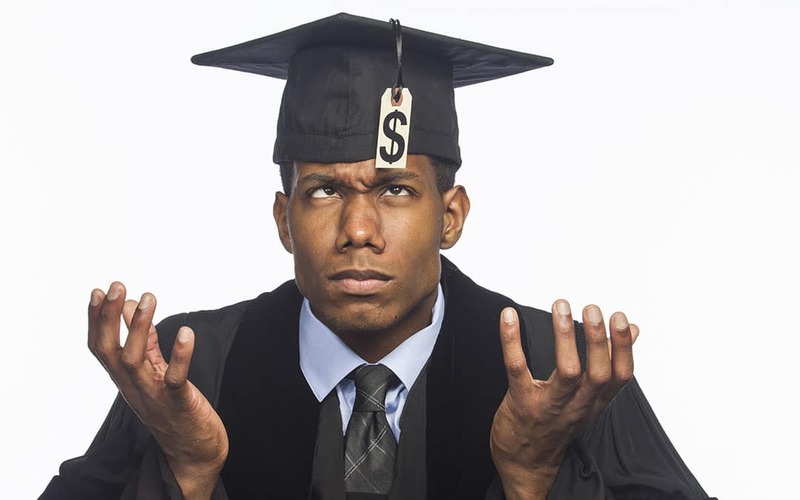 The NSLDS is great for viewing federal student loan debt, but what about the private student loans you took out? What about your personal loans and your other forms of consumer debt—car loans and the like? To view that information, you should get your free annual credit reports. You are entitled to one a year from each of the major credit bureaus. In most cases, you can get the reports instantly online, but all three bureaus (particularly Equifax) are notorious for screw-ups. You could, for example, fail the identity quiz even if you give the right answers. If that happens, you may need to mail in some documents proving who you are. If you find errors on the reports, you can correct them. If you can afford to make automatic payments on your student loans, you should. Why? Many lenders will drop your interest rates. If you sign up for automatic payments, you could see your interest rate drop by 0.25%. That may not seem like a lot, but over time it really adds up. Thanks to the Dodd-Frank Wall Street Reform and Consumer Protection Act of 2010, there is now something called the Consumer Financial Protection Bureau, or CFPB. The CFPB provides a number of tools and resources to help you repay your student loans. If your lender is treating you unfairly, you can submit a complaint directly to the CFPB. If you do this, the agency will forward the grievance to the lender and work as an arbiter to help you and your lender to reach an equitable solution. You can also try signing up for a free financial service like SoFi. SoFi is a company that provides numerous budgeting and financial planning tools for graduates. They even provide refinancing for student loans. If you refinance, you may be able to lower your interest rate, potentially saving you thousands of dollars. Read a SoFi loan review and figure out whether SoFi might be a good fit for your needs. When struggling under student loan debt, the financial obstacles in your path may seem insurmountable. But there are free tools and resources out there to help you to manage your loans and get back on track. Take advantage of these opportunities and good luck!